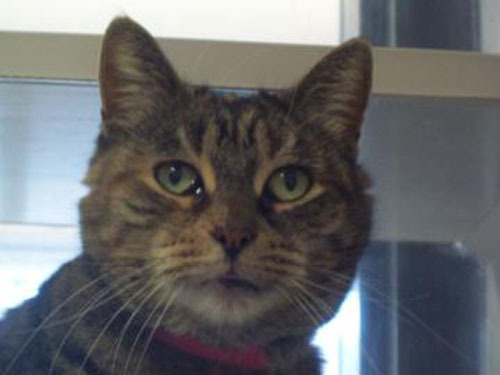 Zebra is a lovely 9-year-old black and brown female tabby cat. She came to Lollypop Farm because her owner could no longer keep her due to allergies. Zebra has been a little sad and confused since arriving at Lollypop Farm. This sweet girl will make a lovely companion. She is a quiet, calm kitty, content to watch the birds from her perch. Zebra is eligible for our Seniors-for-Seniors program, so approved adopters 60 and older can bring her home free of charge! Come and meet Zebra today. She can't wait to meet you! Rudy, the dog from last week, is still waiting to be adopted.